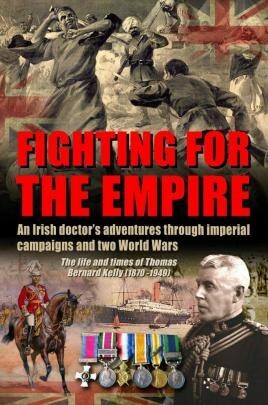 Fighting for the Empire is the story of a remarkable Irishman, a staunch Catholic from Galway who served the British Crown and its Empire for almost fifty years. His extraordinary military career took in countless conflicts including two World Wars, Imperial adventures, acts of heroism and encounters with royalty. It also included a period of Irish history that split families and communities in two. Joining the Indian Medical Service in 1896 Thomas Kelly was posted to the turbulent North West Frontier almost as soon as he arrived in India. He was one of the first Westerners to set foot in the mysterious mountain city of Lhasa, winning a commendation along the way for an act for bravery that was illustrated on the front page of London newspapers. Kelly's many adventures brought him face to face with both hardships and glamour. His duties included entertaining Swedish Explorer Sven Hedin, King George V and later the Prince of Wales (later Edward VIII) who he despised, describing him as a drunkard and a womaniser. The First World War saw Kelly serving with the Indian Medical Service in Aden, Egypt and Mesopotamia (covering present-day Iraq, Syria, Iran and parts of Turkey), collecting the Distinguished Service Order as well as being commended in dispatches four times, including for his role in the aftermath of the infamous siege of Kut. The end of the First World War saw no letup as he was pitched into the brief and bloody 3rd Afghan War that raged across the notorious North West Frontier in 1919. Bitterly disappointed at being turned down by the Royal Navy at the outbreak of the Second World War (he was now 69) Kelly became ships surgeon in the Merchant Navy taking part in the evacuation of the British Expeditionary Force from Bordeaux as France fell to the German invaders. Going with the 8th Army to Egypt and serving on Atlantic convoys his service finally came to an end in late 1944 after serving on ships transporting troops for the invasion of Europe. His age (74) caught up with him and he was sent home still protesting that he was more than fit enough to remain at sea. Containing many photographs from Kelly's personal albums and private collections Fighting for the Empire is a fascinating book not just at an individual's bravery and hardships but at the closing years of the British Empire.